Here's a blast from the past and it comes courtesy of Marcus Correa, who's a reader from Brazil. It's the song analysis of Billy Idol's big 1984 hit "Eye's Without A Face " from his Rebel Yell album. The song and the album was recorded at the famous Electric Lady Studio with Keith Forsey producing, my buddy Michael Frondelli engineering the tracks, and Dave Wittman mixing. As with all song analysis, we'll look at the song form, the arrangement, the sound and the production. The song is well constructed in that it never gets boring because each section has enough of a unique twist each time around so it's different. Listen to the end of the 2nd verse and chorus and how the chord changes are different. The Bridge isn't so much of a traditional bridge as a complete other section as the feel changes completely, and the Intro is repeated at the end of the song, but again it's a little different. Very well crafted. * The Rhythm: This isn't traditional but it works. It's a combination of the bass, which pushes the song along nicely, and the drum machine handclaps. In the 2nd and 3rd verses and choruses there's also some clean rhythm guitar with a double-time feel, along with the guitar part during the B Section. * The Fills: Again not traditional, but there are some nice lines synth guitar lines that are counterpoint to the vocal in the 2nd verse. This song was made in the middle of the golden era of audio. Magnetic tape was still being used (in fact, this track was recorded at 15ips using Dolby A), and there was very little digital gear anywhere in the studio, so everything sounds great. As was the style of the times, there's a lot of reverb (listen especially on the snare drum sample) and delay on everything, but that helps define the layers as well. Mike Frondelli told me that most of the guitar sounds were courtesy of a Tom Sholz Rockman (which was really the first amplifier emulation box), except for the bridge, which was a Les Paul Custom into a 50 watt Marshall. It's cool how it's hi-pass filtered so there's not much low end so it fits perfectly in the track. This is an awesome production. The song is well-crafted so that each repeated section does something slightly different, the arrangement builds with every section, and the sound is big and fat. It's hard to lose interest once you start to listen. I especially liked Steve Webster's bass playing in that it really pushes the track along. He takes a written part and changes it up enough so it's really interesting while making it his own. It’s surprising that so many monitor speakers are chosen on the words of a review or word of mouth since they’re such a personal item. It's more surprising still how little effort is sometimes put into listening to a speaker before purchase. Here's an excerpt from Mixing And Mastering With T-Racks that provides some tips for choosing that most special piece of gear. "1) Don’t choose a monitor because someone else is using them. Monitors are a lot like guitars. Just because Jimmy Page uses a Les Paul doesn’t mean that it’s right for you. It might be too heavy for your frame, the neck might be too wide, and the sound might not be a good match for the type of music you’re playing. Same with a monitor. Just because your favorite mixer uses a set of Genelec 1032A’s, it doesn’t mean that they’ll be right for you too. You may hear differently, your hearing experience is different, the match with your room might not work, the match with the type of music you work on might not be ideal, and if they’re unpowered, you may not have the same amp to drive them with so they’ll sound different as a result. Listen for Even Frequency Balance: While listening to a piece of music that you know well, check to see if any frequencies are exaggerated or attenuated. This is especially important in the mid-range cross-over area (usually about 1.5 to 2.5kHz). Listen especially to cymbals on the high end, vocals and guitars for the midrange, and bass and kick drum on the low end. Make Sure the Frequency Balance Stays The Same At Any Level: The less the frequency response changes as the level changes (especially when playing softly), the better. In other words, the speaker should have roughly the same frequency balance when the level is quiet as when it’s loud. Make Sure You Have Enough Output Level Without Distortion: Be sure that there’s enough clean level for your needs. 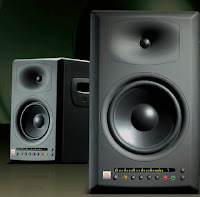 Many powered monitors have built-in limiters that stop the speaker or amplifier from distorting, but also may keep the system from getting as loud as you might need them to be. Above all, don’t buy a set of speakers without listening to them. It’s usually very difficult for them to live up to your expectations if you’ve not heard them first. In fact, it’s not a good idea to buy any speaker unless you’re really in love with them. You’ll have to listen to these monitors for a lot of hours so you might as well like what you hear. 3) Listen with source material that you know very well. The only way to judge a monitor is to listen to material that you’re very familiar with and have heard in a lot of different environments. This will give you the necessary reference point that you need to adequately judge what you’re listening to. I like to use some things that I’ve recorded myself that I know inside and out, and at least one favorite CD that I consider to be well recorded. Remember - no MP3’s here. Use only CD’s or a playback system with an even higher quality 24 bit source like a personal digital recorder. That should give you some idea of the frequency response of the system. Before the trend in monitors turned towards powered speakers, many engineers also brought their own amplifiers to the audition. This is because the amp/speaker combination is a delicate one, with each speaker having a much greater interdependence on the power source than most of us realize. In fact, the search for the perfect amplifier was almost as long suffering as the search for the perfect monitor. 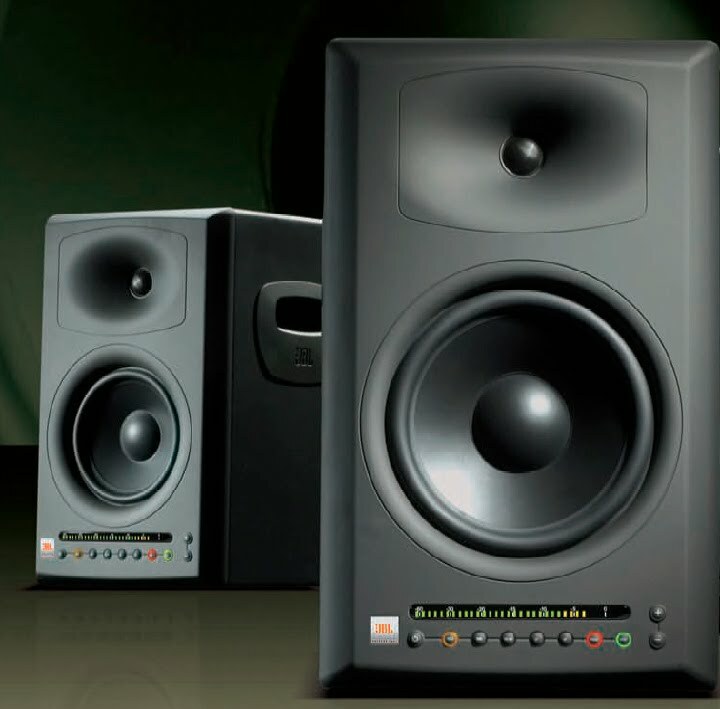 All of this has dwindled in recent years, thanks to monitors with built-in amplifiers perfectly matched to its speaker drivers by the manufacturer. One of the things that I learned in my frequent speaker auditions for EQ Magazine over the course of five years is that you can easily get used to just about any speaker if you use it enough and learn it’s strengths and weaknesses. It also helps to have a solid reference that you’re sure of to compare the sound with. For instance, if you know how things sound in your car, then adjust your mixes so they work when you play them there." You can read some additional excerpts from this book and others at bobbyowsinski.com. Yesterday I saw a tweet that featured a link to an article on Prosoundweb.com called "12 Major Changes To Recording In The 2000's." After looking it over I thought to myself, "Boy, I wish I'd written that." Much to my surprise, I discovered that I was actually the author when I checked out the byline. The post was originally posted on this blog on December 27, 2009, but it still seems relevant today, so here it is again, updated slightly for today. 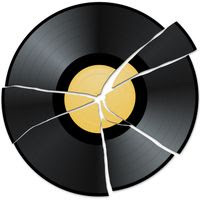 I got to thinking about the many changes that came about in the recording business during the 2000's the other day - some of it good, some of it bad, most of it significant. Here are what I consider to be the 12 major changes in recording that took place during the 2000's, in no particular order. 2) The Downfall of Commercial Studios - When I moved to Los Angeles in 1980, there were more than 250 "24 track" commercial studios in town. Many of them were multi-room facilities and they all were teaming with business. Today there are fewer commercial studios than ever thanks to cuts in recording budgets, the ease of setting up a home studio, and the fact that studio rates have remained about the same since the 80's while overhead has risen dramatically. 9) The Rise of the Home Studio - It's now possible to have a studio on your laptop that's much more powerful than anything The Beatle's ever had to work with for less than a thousand dollars. Home recording is within reach of anyone that wants to do it, and everybody does. This has been both good and bad. 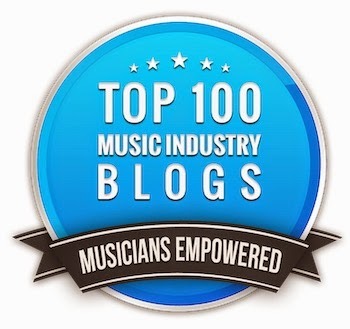 It's brought about Music 3.0 , where an artist is no longer bound by the marketing, distribution and sales system of the record labels, but the filter that the label provided and the help of the many professionals along the way had it's advantages too. Just because you have your own studio doesn't mean you know how to use it. As a result, we have fewer real professionals than ever before who are making less money than ever before - and more and more people making their own music at home. It hasn't resulted in better music so far. 10) The Influx of Chinese Gear - Audio and music gear is better than ever before on average. It's really difficult to find what would be considered a "bad" piece of gear these days (I remember the old Kent guitars with the bowed necks when I was growing up - those were bad), and it's cheaper than ever as well, all thanks to those hard-working Chinese near slave-laborers (with some of that labor now moving on to places like Viet Nam). Just about every gear company does the same thing these days - design the piece here, manufacture it in China, and sell it as cheaply as possible against a dozen other manufacturers with the same product and idea. The problem is that while all the gear is good, not much of it is really great. That's why we have more boutique gear manufacturers than ever. I wonder how they all survive? 12) Change in Consumer Buying Habits - We all know this one. CD sales down, digital sales up, piracy still high. It's the reason for most of the items on this list. We cover this point all the time in the week on my Music 3.0 blog. It's very easy to use the conditions as a way to blame a recording gone wrong, but it never seems to bother many pros. Regardless of the equipment, acoustics or comfort, a real pro always seems to put out a great product. A good example of this is Jethro Tull's seminal album Aqualung , which overcame everything from equipment failures to a "horrible, cold, echoey feel" in Island Records new studio in a church to produce one of their best and most well-known works. Here's Tull leader Ian Anderson discussing the situation. Reader Darryl Millette requested a song analysis of Feist's "My Moon My Man ," a song from her third album The Reminder. Feist has been a critic's darling for some time, especially after Apple picked up her "1234 " for an iPod Nano commercial in 2007. "My Moon My Man" was also used for a Verizon commercial, and later again on the television show Grey's Anatomy. Like all song analysis, we'll look at the song itself, the arrangement, the sound, and the production. The first Interlude is an instrumental version of the B section, while the 2nd one acts more as a bridge in that it's different from the rest of the song even though the underlying feel and chord changes are the same. The song is built on a single repeating line that changes only slightly in at the end of the B sections, which means the arrangement has to be very strong to hold the listener's interest. The arrangement for this song is very simple, which is it's strength, but it also follows all the practices common to a great arrangement. The verses are very simple while the B sections are a lot bigger sounding thanks to the multiple vocal harmonies and the entrance of additional instruments. The chorus is differentiated by the Feist's cluster harmonies. The 2nd verse develops a bit from the first as a very mellow flute-like synth enters. Here are the arrangement elements. * The Pad: A very subtle synth on the left side of soundfield during the B sections. * The Fills: Nothing here acts as a traditional fill, but the occasional flutter synth arppegiation fills in a spot here and there. Any ambiance in the song is subtle but it's there. While the piano and the drums rely on their own recorded room ambiance, the vocal and interlude guitars have a timed reverb to give them a bit of space and depth. The vocal is a bit spitty from overcompression, probably because Feist's vocal was soft, as is her style. It takes a lot of skill to take a song that's built around a single repeating 4 bar line and make it interesting. What makes it so is the constant tension and release; soft to loud, complex to simple. I especially liked the clustered harmonies with the harmonic extensions at the end. That's not easy to sing and Feist did a great job.